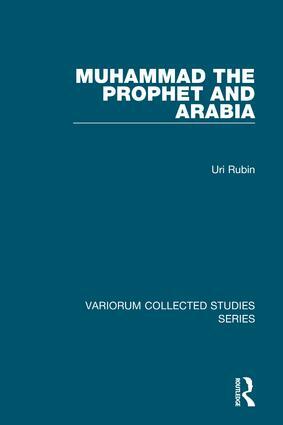 This volume comprises articles dealing with qur'anic and post-qur'anic aspects of the Prophet Muhammad's image and religious environment. The pieces in the first section analyse Muhammad's prophecy as reflected in the Qur'an and the post-qur'anic sources of sira (Muhammad's biography), tafsir (Qur'an exegesis), ta'rikh (historiography) and hadith (Muslim tradition). They reveal aspects of the manner in which the post-qur'anic sources have elaborated on the relatively modest qur'anic image of Muhammad for polemical needs as well as due to natural admiration for the prophet of Islam. Articles in the second section study Muhammad's prophetic experience. By concentrating on specific events in Muhammad's life further light can be shed on the post-qur'anic image of Muhammad as developed by the Muslims of the first Islamic era. The articles that comprise the third section look at Muhammad's Arabia, specifically the traditions about Mecca and the Ka`ba as well as at the pre-Islamic Arabian roots of some qur'anic and post-qur'anic ideas and rituals, including the pre-Islamic sacred status of the Ka'ba in relation to that of Jerusalem. Contents: Preface; Part I Muhammad's Prophetic Image: Muhammad and the Qur'an; The Quar'anic idea of prophets and prophethood; Review of G. LÃ¼ling, Die Wiederentdeckung des Propheten Muhammad; Pre-existence and light: aspects of the concept of Nur Muhammad; Muhammad the exorcist: aspects of Islamic-Jewish polemics; The shrouded messenger: on the interpretation of al-muzzammil and al-muddaththir. Part II Muhammad's Prophetic Experience: Muhammed's night journey (isra) to al-masjid al-aqsa: aspects of the earliest origins of the Islamic sanctity of Jerusalem; The life of Muhammad and the Qur'an: the case of Muhammed's hijra. Part III Muhammed's Arabia: Abraha; Hanifiyya and Ka'ba: an inquiry into the Arabian pre-Islamic background of din Ibrahim; Between Arabia and the Holy Land: a Mecca-Jerusalem axis of sanctity; The hands of Abu Lahab and the gazelle of the Ka'ba; Quraysh and their winter and summer journey: on the interpretation of Sura 106; Morning and evening prayers in early Islam; On the Arabian origins of the Qur'an: the case of al-furqan; Indexes.